I am one of those housewives who find cooking to be a laborious work. But those were the days since I have the AJI-NO-MOTO® Umami Seasoning with me. Season it with salt, pepper, sugar, and a pinch of the Ajinomoto Umami Seasoning for a more flavourful taste! See? It’s not that hard! Since my husband is now back to work and is scheduled on a night shift, I have to play the role of being an ideal wife (lol), where I have to prepare food for him so that when he gets home in the wee hours of the morning, I have something to offer him that can ease his feelings from a day’s work. Sometimes, I cook “special food” for him such as Menudo and Binagoongan, while most of the times, I cook those easy to prepare meals such as this Sweet and Spicy Eggplant Rice Toppings. Actually, it doesn’t really matter if it’s laboriously prepared or not, what matters to me is that my husband loves what I serve on the table every time he’s home. I am really thankful to Ajinomoto Umami Seasoning because it makes every meal I prepare special! This is a real blessing to every housewife who has to prepare food for their family but don’t possess those “special skills” of a chef. 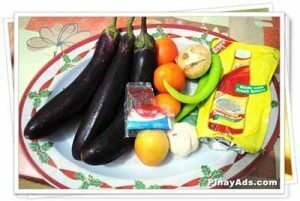 As for me, although this Sweet and Spicy Eggplant Rice Toppings recipe is simple, still I invested a lot of effort to it but rewarded by a big smile on my hubby’s face after he tasted what I have made for him. It’s priceless! For everybody’s information, Umami belongs to the five basic tastes (bitter, sour, salty, sweet) that the human tongue can distinguish. 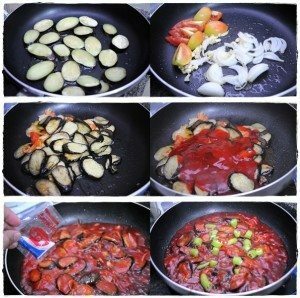 This is described to be a savory taste that usually leaves one to droll over the food due to its taste. The flavor of UMAMI stems from glutamate, a common amino acid found in protein-containing foods and the human body. Therefore, UMAMI can be found in vegetables, fruits, meat, fish, and many other foods, even in mother’s milk. It is a savory flavor that gives food a depth of character. When glutamate reaches our taste buds, our brain identifies the delicious and fulfilling taste triggering us to smile in satisfaction. Anyway, for those who are interested, there will be a cooking challenge on February 2, 2013 that will be hosted by Ajinomoto. 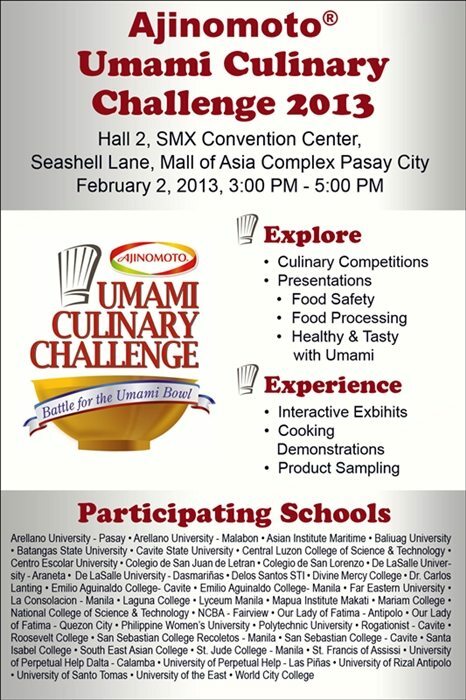 The event is called the Ajinomoto® Umami Culinary Challenge. 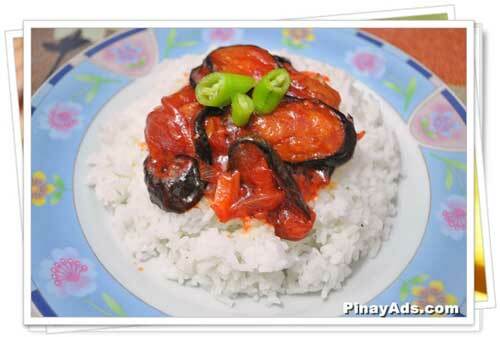 wow, now ko lang nalaman pwede pala eggplant na sweet and spicy.. I love both pa naman, eggplant and sweet & spicy menu.. hahaha pagsamahin ko sila. thanks for this recipe Iris.. 🙂 and yes Ajinomoto can bring out the best in any viand. Na-miss ko bigla ang Kuya J sa Cebu! Sarap din ito pang-pulutan lalo na pag maanghang, hihihi! You just gave a me an eggplant inspiration! Kaloka! You made me look at eggplant differently! I’ll try cooking this one. 🙂 Hubby loves vegetables also. I don’t eat eggplant though so I think I’ll add ground pork so I have something to eat. Looks really easy to prepare. Ideal recipe for a working mom like me.